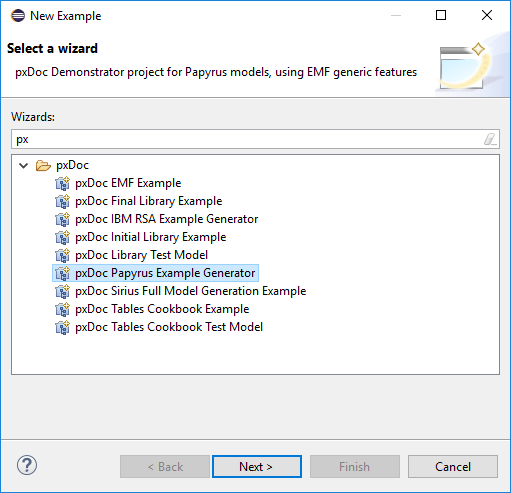 This enabler provides full pxDoc capabilities to the Papyrus UML2 modeling environment . Select the pxDoc Papyrus Integration from the category pxDoc Integrations and complete the wizard by clicking the Next button until you can click Finish. 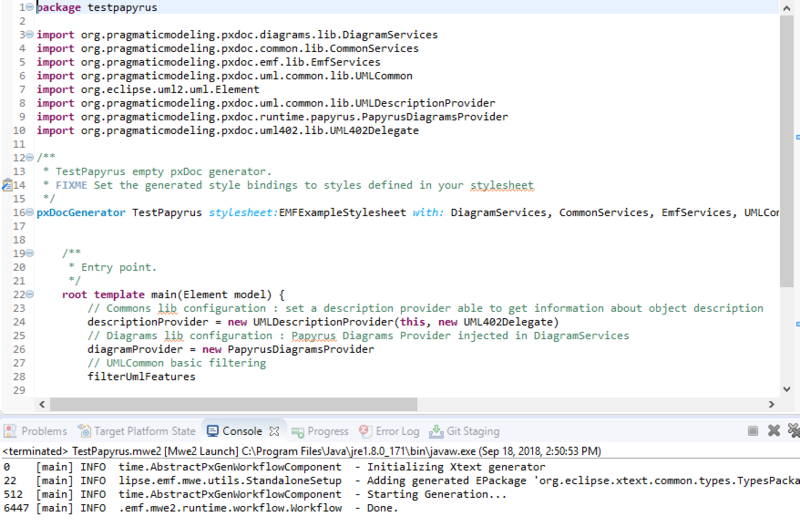 After a quick download and a restart of Eclipse, the pxDoc Papyrus enabler is ready to use. In the second page of the wizard (see screenshot below), select the Papyrus enabler. 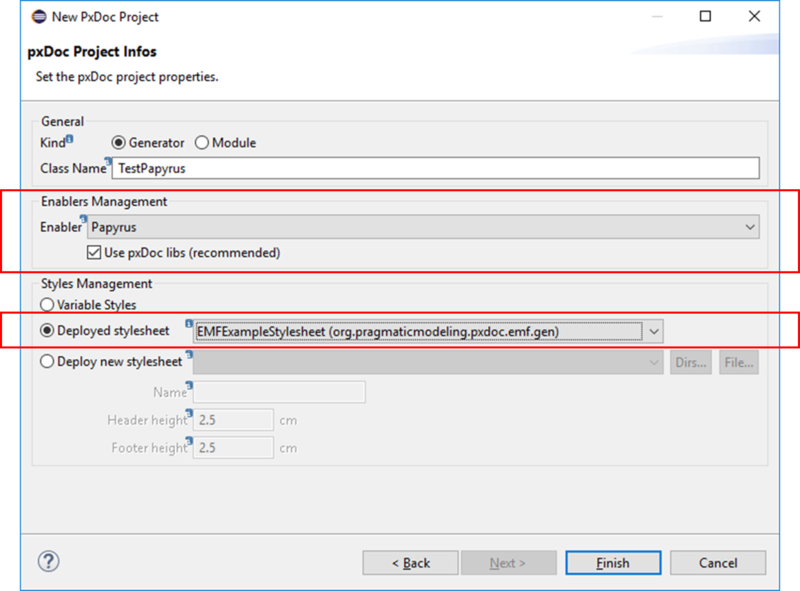 If you do not want the common libraries (common modules and associated means) to be automatically imported in your project, un-check the checkbox. Your pxDoc generator is ready to use with a Papyrus model. You can find the source project on GitLab: https://gitlab.com/pxdoc/pxdoc-papyrus.